Do I have to build evenly? Question: Do I have to build evenly? Answer: Yes. In Monopoly, players must build evenly. That means that you cannot have more than one house worth of difference between any two properties of a particular color. If you own all of a three-property color set, you must build one house on every property before adding a second house to any of them. Before you can build a hotel, you must have four houses on all the properties of the color you wish to build on. This is important, because it is possible to run out of houses or hotels. 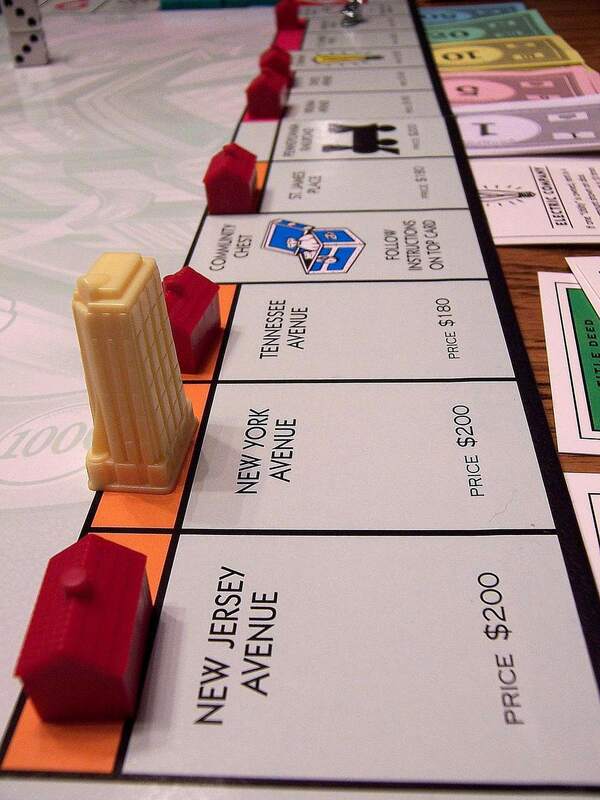 What Happens When You Run Out of Houses or Hotels in Monopoly?